Finished Feb 2018. Final score: 1 / 5. I want the rest of the story after reading Infinity Blade: Awakening. I just finished book 1, and I now know the book is based on a video game. Don't buy this series unless you get it for a very steep discount. I debated really hard about scoring this a 1 or 2. I ultimately decided with a 1 because the book left me more annoyed than the first. The story was not finished, and this time there is no follow-up. I feel like an unfinished story is a big disservice to the reader. The only reason I picked up this book is because the previous book did not feel finished either. Like the previous book, the content was decent. There were interesting characters and good dialog. However, the plot overall was a bit meandering. I do not mind meandering, but I feel that a novella does not have that luxury. The book was split in to 2 stories threaded together, and I felt the second story could have been cut completely. In fact, the title of each side-story chapter was called "Diversion". I agree. It was a diversion. The "end" (if you could call it an ending) did bring the two stories together but just barely. The diversion chapters could have been dropped completely leaving this as a nice short story versus a meh novella. I may have actually rated that story with an extra point. This series is based on a video game. I have never played Infinity Blade, and after this series, I still have no desire to do so. Perhaps this series would best be considered professionally written fanfiction. If so, maybe it does its job and fans of the game would gobble this up. However, reading this series alone on its own merit, I am not pleased. 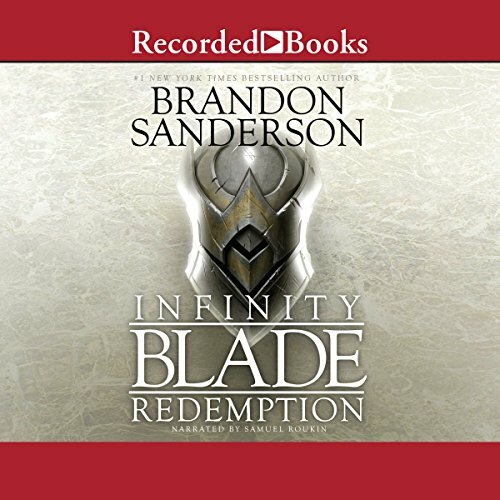 Discuss Infinity Blade: Redemption (Book 2) in the forums.